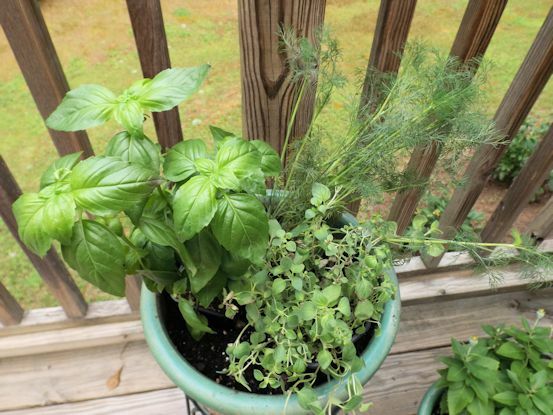 I planted an herb pot on my deck with fresh basil, oregano, and dill. I bought these at the grocery store so they probably aren’t very hardy for deck life but I will give it a try. …but since it is still so stinkin’ hot in Atlanta – 90’s every day, I wanted to make a cold end to our supper. 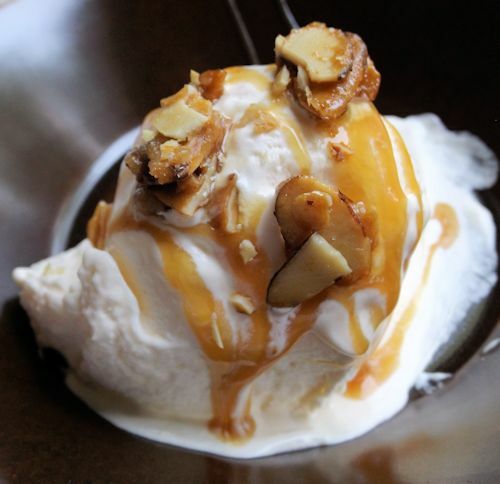 I made some peach ice cream topped with caramel sauce and glazed almonds. We are about to be blasted with a storm tonight so I’m typing fast although I’m not sure why impending doom makes me type fast. She’s feeling it, too. 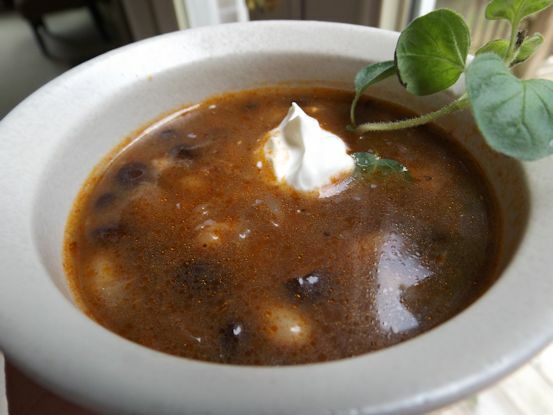 The soup is basically a pantry soup with the addition of fresh garlic and onion. 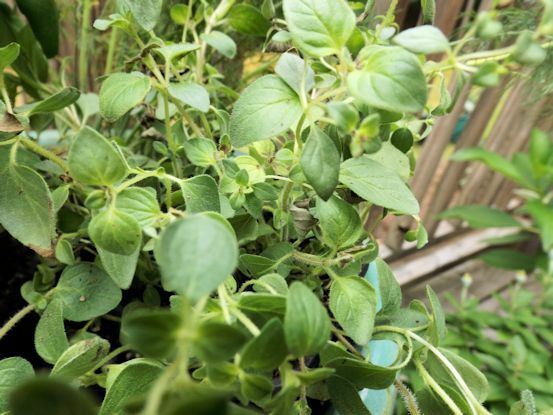 You can also use fresh oregano.,or if you don’t have the bountiful deck garden like I do (ha ha) you can use dried. Cook onions and garlic in oil.Add spices. Add tomato paste, then broth. Simmer 10-15 minutes. Add beans and simmer at least 10 more minutes. 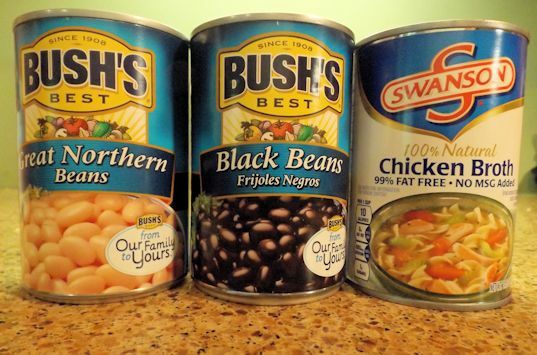 It’s not a very fancy soup but it is tasty and easy to make, and I pretty much always have the ingredients on hand. 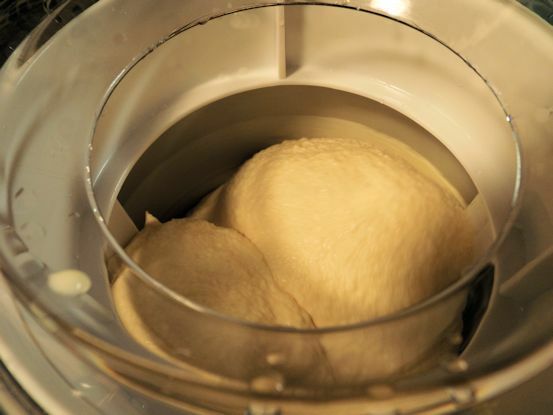 The peach ice cream was quick and easy to make, too, because I had the ice cream freezer bowls in the freezer ready to go. Mix together the peaches and sugar. Add the half and half and whipping cream. Place in freezer and follow manufacturers directions for freezing. I will probably never eat peach ice cream without these almonds ever again. They were the perfect addition to the ice cream. Cover a cookie sheet with aluminum foil. Melt one tablespoon butter and spread over the foil. 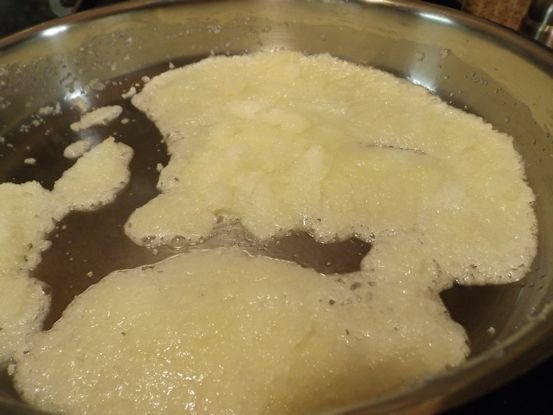 In a skillet melt butter. Add the sugar and stir. 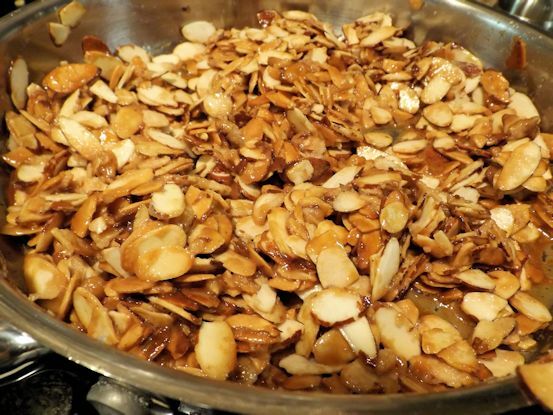 Add the almonds and cook over medium heat 6-8 minutes or until sugar turns golden brown. Remove from heat. Carefully stir in the vanilla. 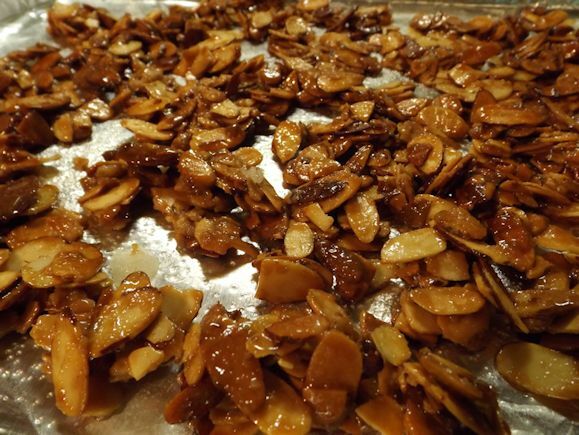 Pour nuts on the cookie sheet and separate into clusters. Sprinkle with salt. Allow to cool and break apart if necessary. 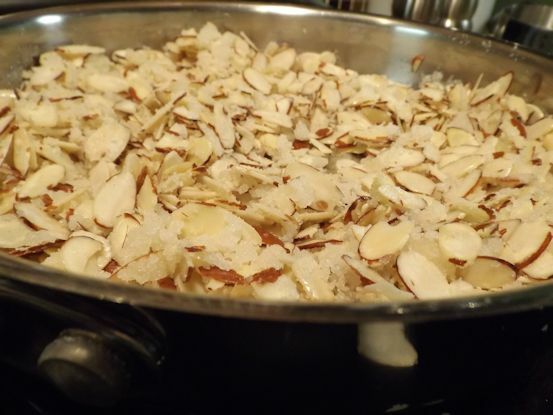 Add the almonds and keep stirring over medium heat. Soon they will be golden brown. Pour on a cookie sheet and top with salt. 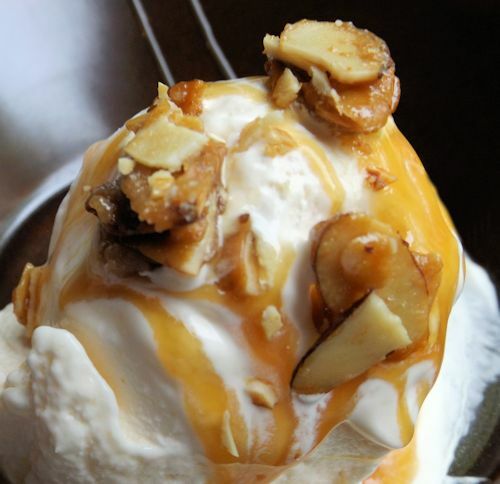 Here is the final bowl of ice cream drizzled with caramel sauce and topped with glazed almonds. Storm? What storm?? So yummy it makes you forget.